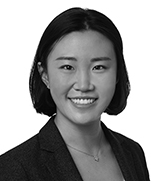 Mengci Shao is a member of Dentons' Employment and Labor practice group. She concentrates her practice on US immigration, including both business and individual immigration matters. She has experience in temporary work visas, permanent labor certification applications, immigrant visa petitions and adjustment of status applications. Mengci is fluent in English and Mandarin Chinese. Prior to joining Dentons, Mengci was a supervising lawyer at American Visa Law Group. She also worked at boutique immigration law firms in the Washington, DC metropolitan area and at Berry Appleman & Leiden LLP in San Francisco. While attending the George Washington University Law School, she served as a student attorney with the GW Immigration Clinic.